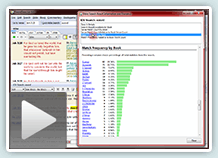 The following videos should be viewed with your browser maximized. 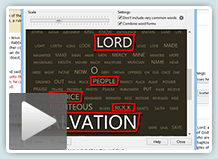 Be sure your speakers are turned on as the videos are voice narrated. 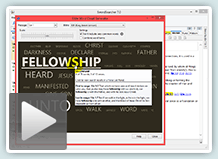 Click a video thumbnail on the right to play it in a pop-up. 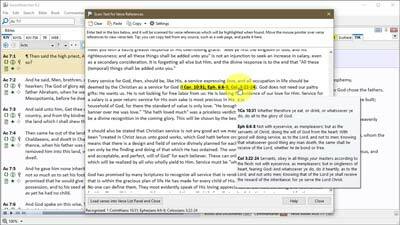 These are shorter tutorials and tips. 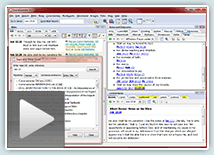 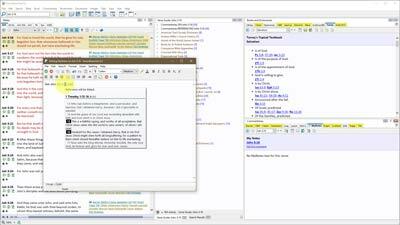 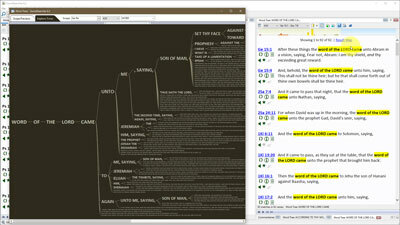 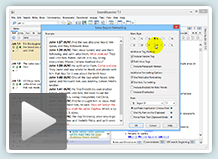 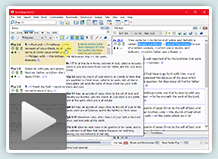 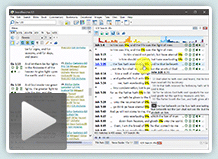 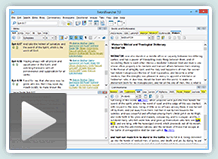 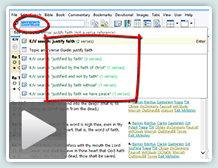 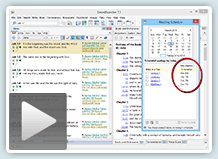 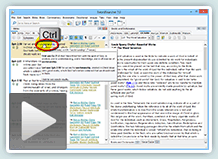 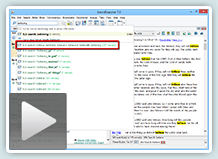 Demonstrates using "drag and drop" from external documents into SwordSearcher for loading a verse list, doing a quick Bible search, etc. 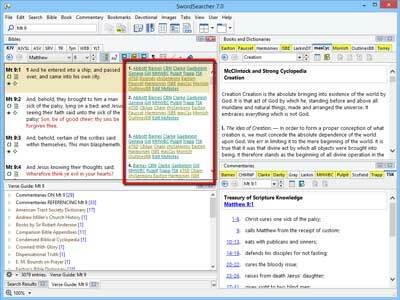 (2:36) Note: This video shows SwordSearcher 6 with separate Go To Verse and Quick Bible Search boxes. 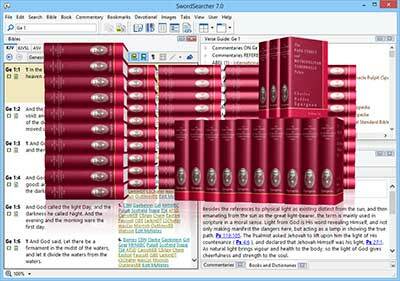 The new combined search box in SwordSearcher 7 works the same way as the separate boxes in this video.